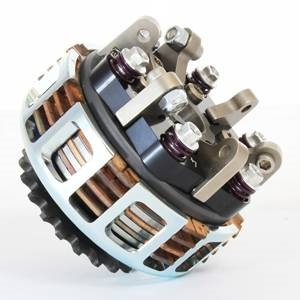 Redesigned 4 disc 6 spring Turbo Jackshaft clutch with ball levers for all 2 stroke applications when mounted on a jackshaft. 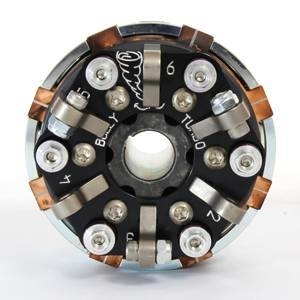 Fits 3/4″ shaft. 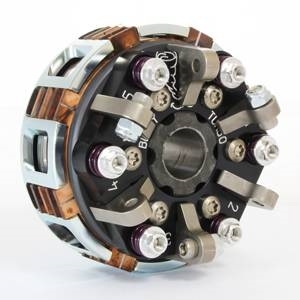 This clutch can be built for any engagement from 2,500 to 10,000 RPM. Weights: Straight Lever, bolt in every other lever.